Edward Liddy came out of retirement for the grand salary of $1 per year as CEO just in time for the insurance giant to issue hundreds of millions of dollars in previously planned retention bonuses for executives in AIG's financial-products division  the same division narrowly kept afloat by $170 billion from U.S. taxpayers. 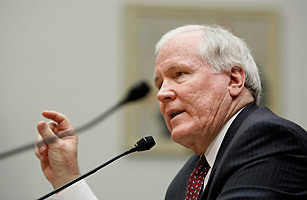 In failing to investigate or renegotiate the bonuses, Liddy brought both himself and Treasury Secretary Timothy Geithner under fire, in a bonus scandal that enraged Congress and the American public alike. An investigation by New York's then attorney general Andrew Cuomo found that seven executives in the unit took home bonuses of more than $4 million each, with the top bonus recipient earning more than $6.4 million. See the top 10 CEO scandals.